This entry was posted in Main, Surfing the Knit and tagged Knitting by knitigatingcircumstances. Bookmark the permalink. Holy moly, thanks for the link to Yarnsub!! Interesting. I clicked on the Bioscience thing because it’s kind of down my alley, but then I just felt kind of tired. Ha! De-lurking to tell you that the wartime knitting songs are also coming to my LYS in Cambridge, so might be coming to somewhere near you as well? That looks like my kind of knit! It’s beautiful, and isn’t that MadTosh just fabulous? That colour – wow! For what it’s worth, I’ve used yarnsub with limited success. There is more to subbing yarn than making the numbers fit, if you know what I mean. It’s still a great resource, though, and I’ve discovered a couple of new wools I probably never would have found otherwise. (I’m not sure that’s a good thing, LOL). 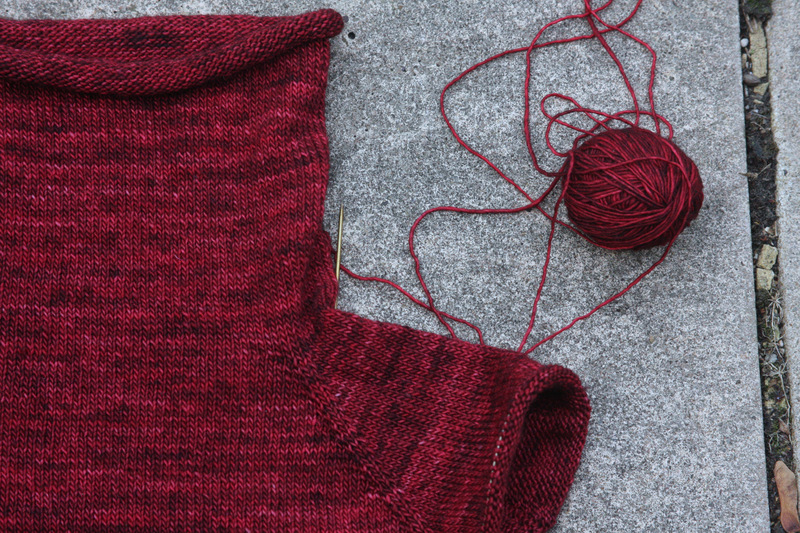 Speaking of boring – have you sewed in a few more ends on your Soumak, hmmm?